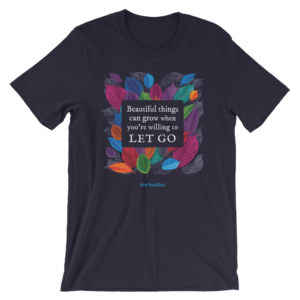 A fun, creative course blending self-help and film that gives you the tools to let go of the past so you can feel free, happy, and unlimited in the present—and confident about creating the future. Every design is available in: tee, V-neck, tank top, hoodie, sweatshirt, and kids shirt, with multiple colors and sizes. 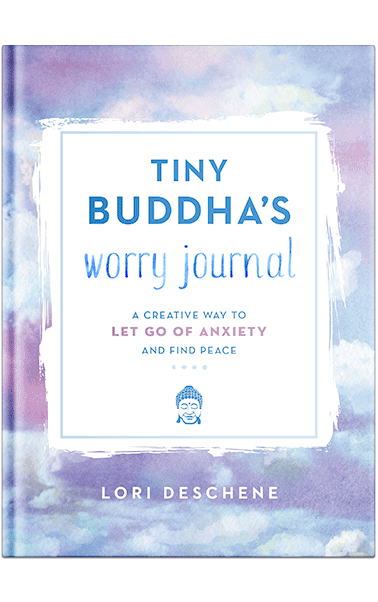 Filled with quotes, prompts, and questions, along with coloring and doodling pages, Tiny Buddha’s Worry Journal provides a number of different activities to help you reframe your worries and minimize anxiety in your daily life. If you have a hard time detaching from worrisome thoughts, this could be just what you need to learn to let go and ease your troubled mind. 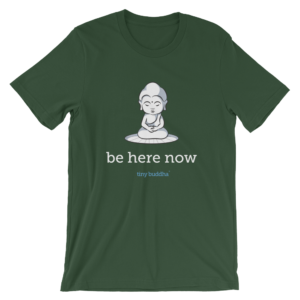 A few mindful minutes each day can create major change! Including questions and prompts pertaining to both your past and present, this journal will help you see your life through a new, more positive lens. The book also includes fifteen coloring pages, depicting awesome things we often take for granted, like nature and music. 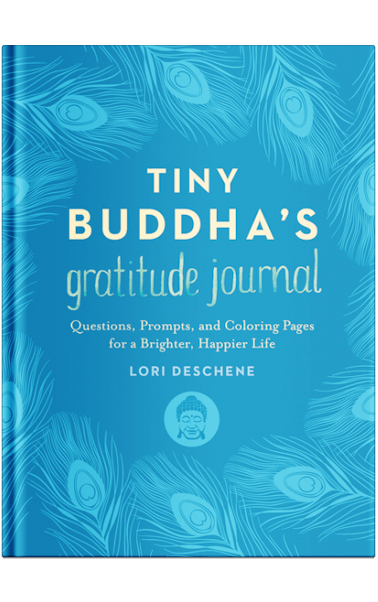 With space for written reflection, these pages provide all the benefits of coloring—including mindfulness and stress relief—and also guide you to recognize the beauty in the ordinary. 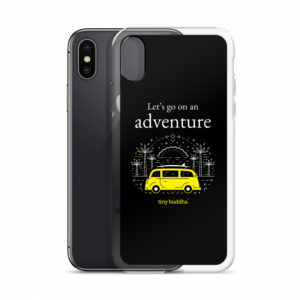 A simple guide to help you pursue a happy, connected life. Each week includes an inspiring story from a Tiny Buddha community member (or two), followed by seven days of short challenges that focus on self-love, giving and receiving love in relationships and friendships, and spreading love in the world. With writing exercises sprinkled throughout and questions for the reflection on every page, the book will help you identify blocks to love—and move past them. 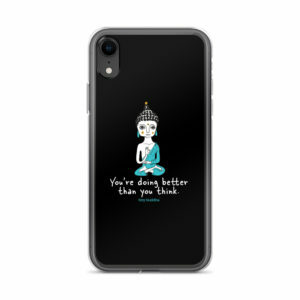 Presents 40 unique perspectives and insights on topics related to loving yourself, including: realizing you're not broken, accepting your flaws, releasing the need for approval, forgiving yourself, letting go of comparisons, and learning to be authentic. 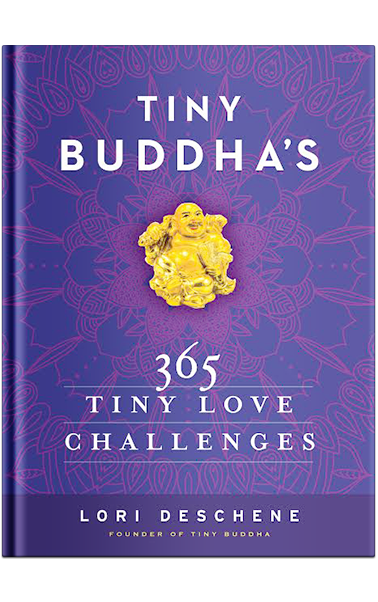 Featuring stories selected from hundreds of tinybuddha.com contributors, the book provides an honest look at what it means to overcome critical, self-judging thoughts to create a peaceful, empowered life. 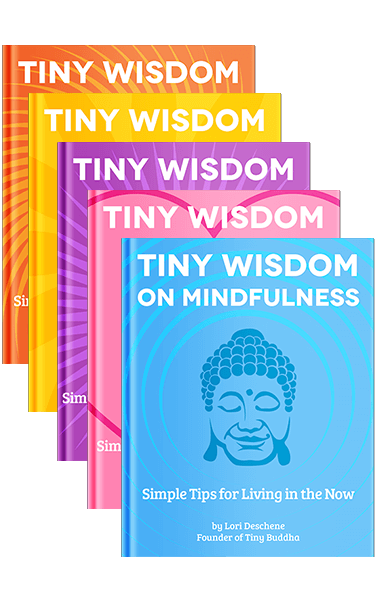 The Tiny Wisdom eBooks share short reflections on the little things that make a huge difference in our daily lives. They're reminders of what matters and how to embrace it, right now, instead of focusing on all the things that only bring us down. 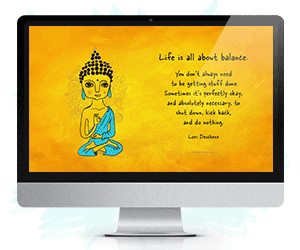 Buy the whole set, containing eBooks on love, self-love, mindfulness, pain, and love and get one free ($4.97 individually, $19.97 for the full set). What's the meaning of life? 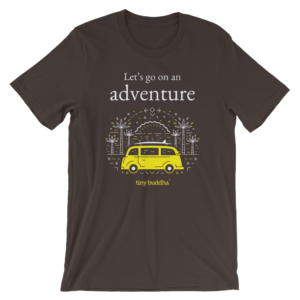 What does it take to be happy? Why are relationships so hard? 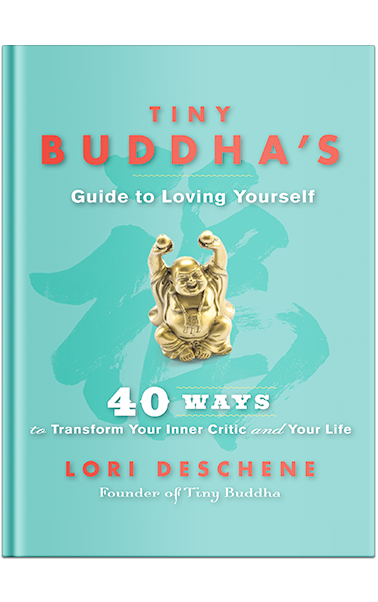 Author Lori Deschene explores these questions and more, sharing her own experience overcoming depression, isolation, self-loathing, and a sense of meaninglessness. 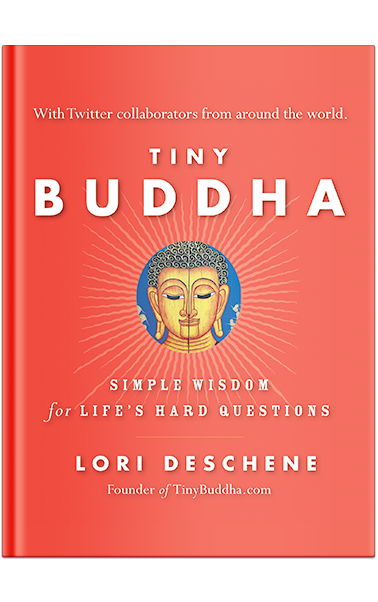 Including perspectives from @tinybuddha Twitter followers and insights from wise teachers around the world and throughout time, Tiny Buddha provides an empowering guide for personal happiness, even in a world with so much uncertainty. 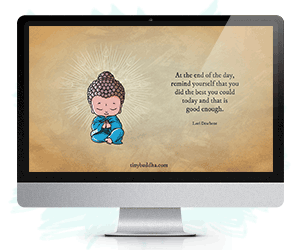 You can now embed a daily wisdom quote right on your site with the Tiny Buddha Quote Widget for WordPress. 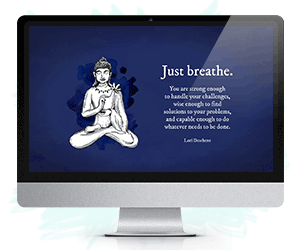 This plugin will deliver a random quote from the Tiny Buddha archives (800 quotes and growing) each day. 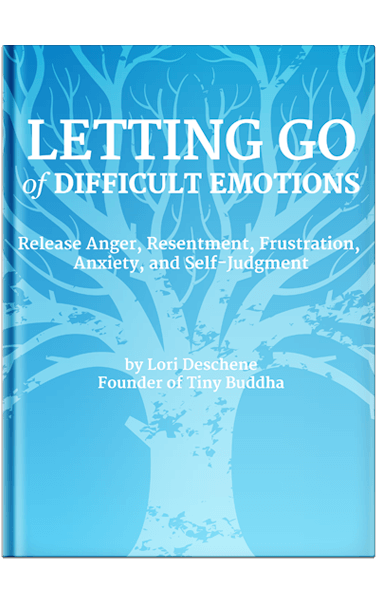 In this 54-page eBook, you’ll learn a few techniques to let go of anger, resentment, frustration, anxiety, and self-judgment. Name your own price! 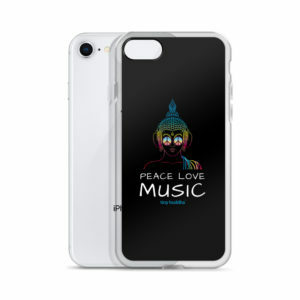 The suggested payment is $5; however, you can pay as little as $1. Available in 4K resolution in portrait or landscape formats, this wallpaper is suitable for most desktops and mobile devices. 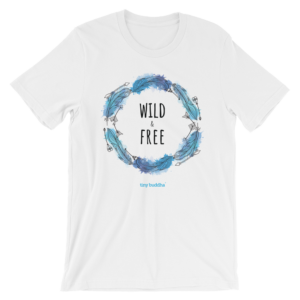 Free gift for new email subscribers only.